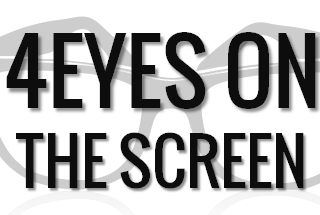 4 Eyes on the Screen is a review blog, critiquing the latest films from across the world, written by James Humphrey. James is an English Literature and Drama graduate of Royal Holloway, University of London and is currently studying MA Cultural and Critical Studies at Birkbeck University. Currently reviewing from General Release (Curzon, Vue, Cineworld and Odeon). Blog name credit goes to my brother Adam Humphrey and thanks to long-suffering viewing partner Alan De’Ath.